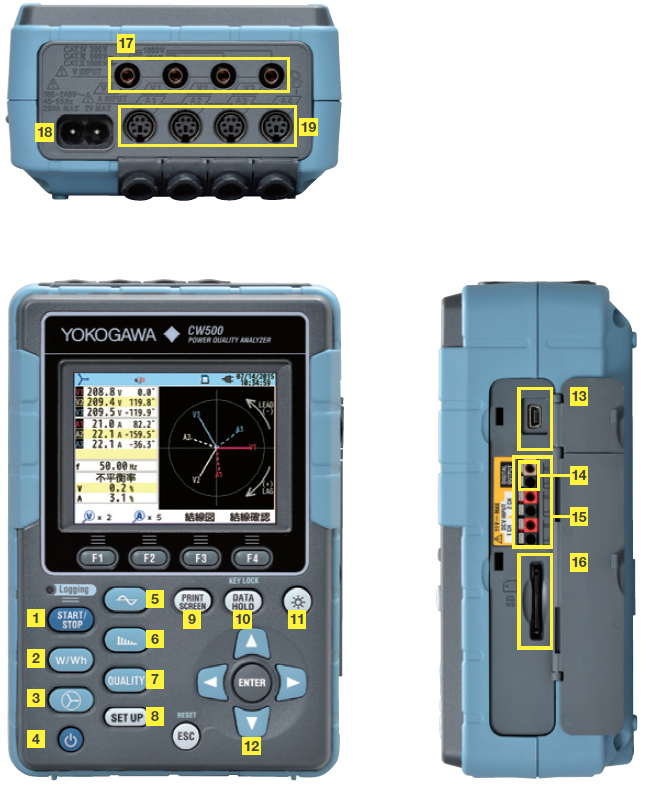 The Yokogawa CW500 is a portable power meter that utilizes current clamp-on probes, easy to use navigation screens and bluetooth and SD cards for communication and data logging. 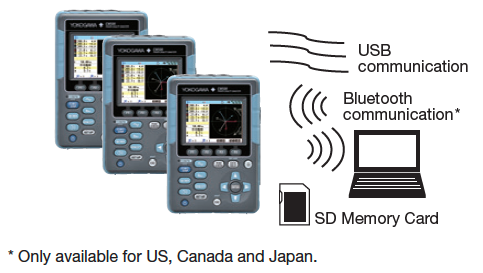 These features enable user-friendly power consumption and power quality measurements in the field that conform to IEC61000-4-30 Class S. This standard dictates that two measuring instruments of similar rating must measure within some percentage of each other when exposed to the same signal. Power line and Input Channel: 3 CH Voltage, 4 CH for Current Clamp Probe. Voltage/Current/Power (Active, Reactive, Apparent)/Power Factor/ Phase Angle/Frequency/Calculated Phase Shift Capacitance/DC voltage value 2 CH. 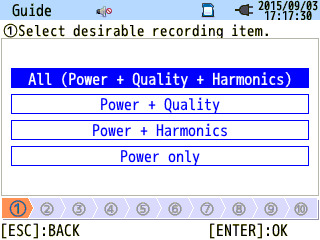 The recording length shortens according to the number of power quality events. Only the included SD memory card or dedicated SD memory card is guaranteed. Hems of measuring values can be selected with position. 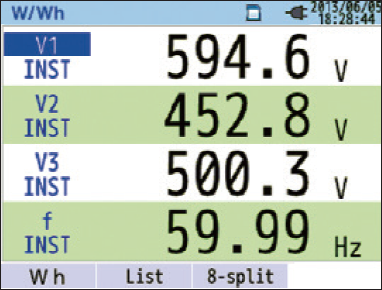 Zoom display can be selected by 4 or 8 divisions. Trend graph of voltage/ current/power/power factor/frequency/ advanced phase condenser external DC voltage. List of active, apparent, reactive by consumption or generation. Demand is the average power value of a specific period (usually 30 minutes). The contract with the power supplier conditionally concerns the maximum average power value between a period for the consumption fee. This function supports how to maintain within the target consumption by monitoring the estimated demand value to the setting rate with the maximum demand value. Analysis and reporting is enabled by simply clicking on the desired data on the software screen. 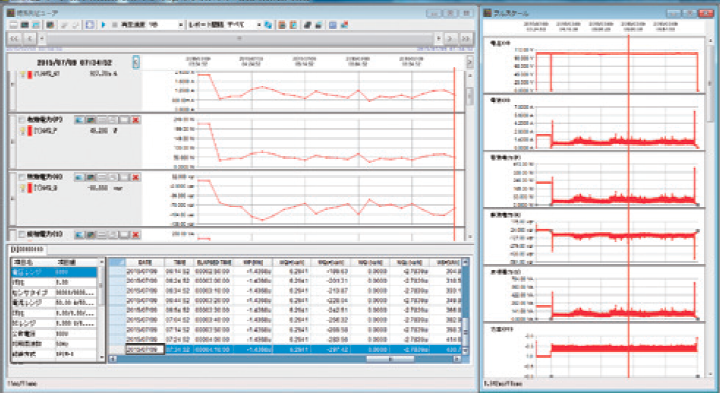 Analysis can be viewed by trend graph, overage, maximum and minimum value of voltage current, power, and power factor. Report generating can be set daily by daytime, nighttime, working day, or off day. It can also be set on a monthly period based on daytime or nighttime, working day or off day. Additionally, energy data to quantify into crude oil barrels or CO2 can also be converted. Short period power line malfunctions such as voltage swells, dips, interruptions, transients, over or inrush currents, or long periods of harmonic distortion/flicker may damage or reset your devices. The CW500 helps to identify each of those short period malfunctions by recording occurrence time, occurrence finish time and waveforms. Additionally there is a digital output on occurrence. Long period malfunctions can be analyzed by harmonics, flicker, waveform, or by checking on the unbalance rate calculation for a 3 phase measurement. 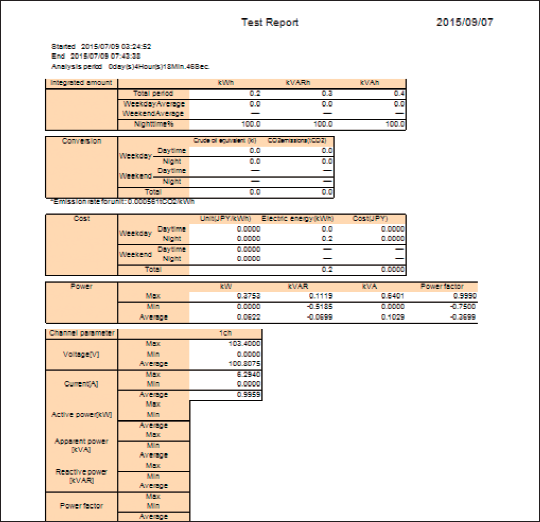 All data can be finalized into a report format with the included software. 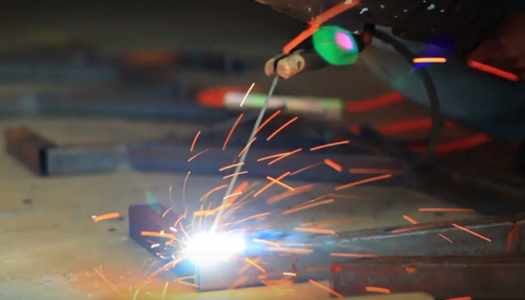 The CW500 conforms to the IEC standard of 61000-4-30 Class S.
The quick start guide will show on-start measuring and how to wire and set the range before measuring. The automatic clamp detection will insure the settings are correct. 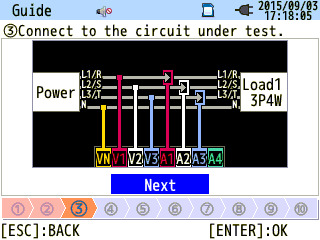 Select the wiring and the appropriate connection diagram will be displayed. 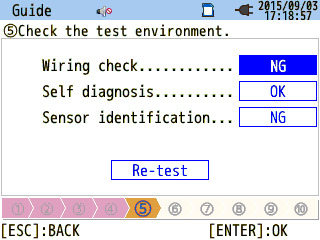 Wiring check, self-check and the type of clamp is automatically detected and the results displayed. If NG is displayed, the detail can be confirmed by pressing the “ENTER” key. Set the recording interval time and the recording time or period. Power (under 240 VAC) can be supplied by using the power supply adapter (sold separately). Note: This is not available for EV region. The external magnetic field effect is 0.002 A or less, at 400 A/. Yokogawa’s proprietary technology has achieved a magnetic field impact amount of 30 ppm even in adjacent power lines (at 100 A). Below is an example of how to measure a neutral line of 3 phase 4 line. Maximum of 4 systems is capable for 1 phase 2 line Maximum of 2 systems is capable for 1 phase 3 line or 3 phase 3 line. Data analysis, data reporting, making a setting file and doing a real time measurement can be easily done with the CW500Viewer. 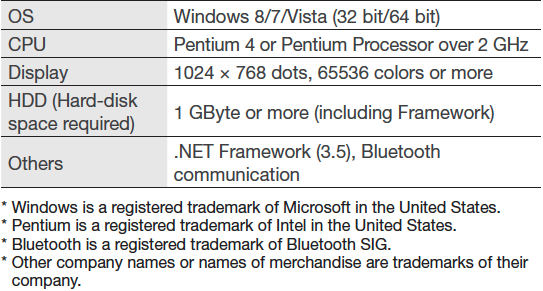 The data can be transferred by SD memory card, USB communication or Bluetooth communication (for USA, Canada, Japan only). The graph and lists are created by a click on the data file. The graph and lists of the recorded data file are created by clicking on the desired data file. They can be displayed and copied on a clipboard so it can be used on other software such as Word or Excel. 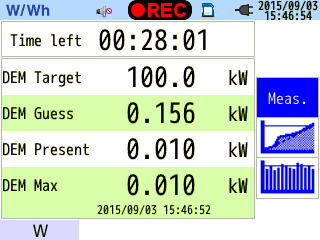 The time axis and measure axis can be zoomed in or out easily. With this capability, micro and macro changes can be displayed. 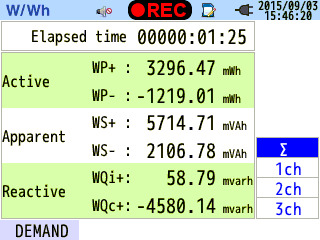 Waveforms of power quality events (Voltage swell, voltage dips, voltage interrupt, voltage transient, (over and inrush current) which are recorded by 200 ms period can be displayed and printed. 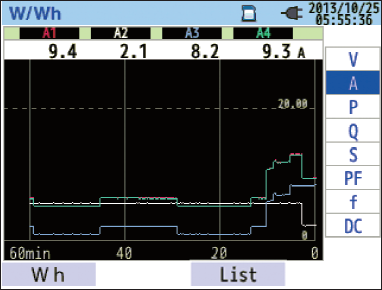 The integrated data can be added on one graph, enabling the whole energy integration data to be displayed. Integrated energy data can be scaled into CO2 or the crude oil value. Setting data can be read out from and to the main unit via SD memory card, USB communication cable or Bluetooth communication (*1). Setting data can be easily edited, saved and managed. 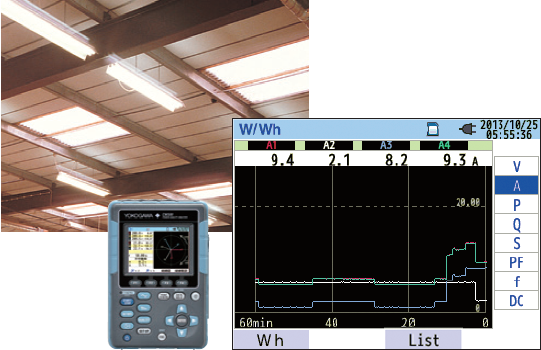 Confirm the quality of power lines for factory system control and assets. Simultaneously measure the consumption of energy trend and consider solutions for energy saving. 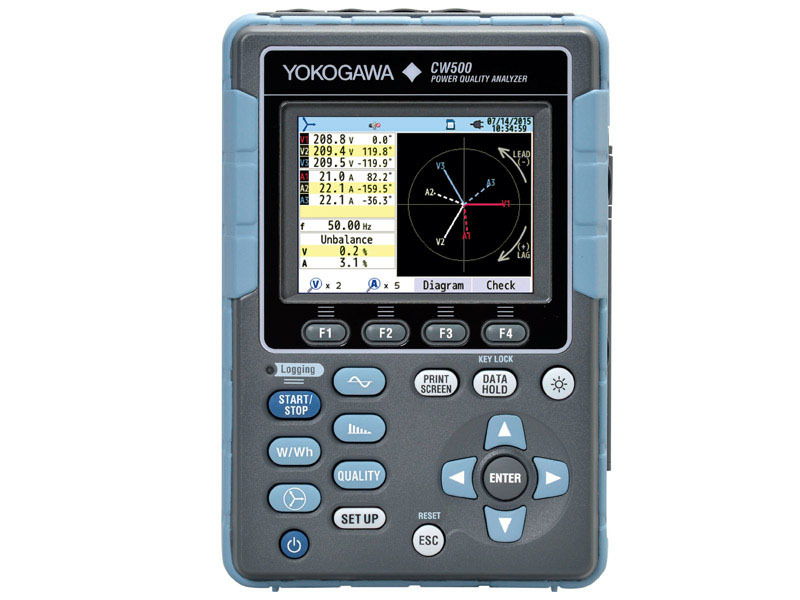 The CW500 not only continuously measures harmonics but it also captures malfunctions of the power line and records the occurrence time with waveforms. Simultaneously, it can measure the power and leakage current of a neutral phase. Additionally, users can confirm the condition of assets when signals are connected to the DCV input channels. Verify the energy saving effects of LED lighting compared to standard incandescent lighting by performing before and after measurements. 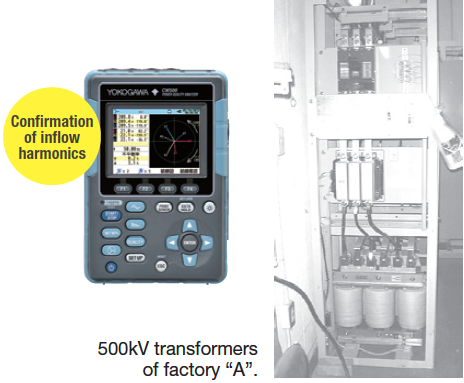 Inverters were installed on many driving pumps in liquid manufacturing lines, and power consumption measurements are needed to check the before and after effects. 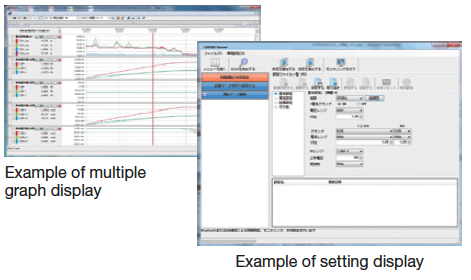 Multiple parameters can be set and measured by the PC software. Additionally, the power line quality can also be tested to assure the new inverters can be operated safely. 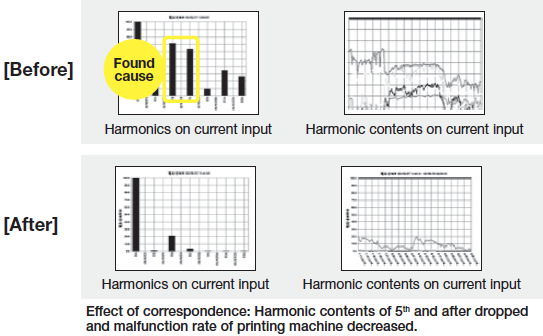 Purpose: Investigation of the cause of constant malfunctions for printing machines. Harmonics distortion on line could be the reason? Measures harmonics up to 50. Result: Confirming high level harmonic contents on 5th and 7th. Many damaging harmonics are discovered in the 5th and 7th harmonics. 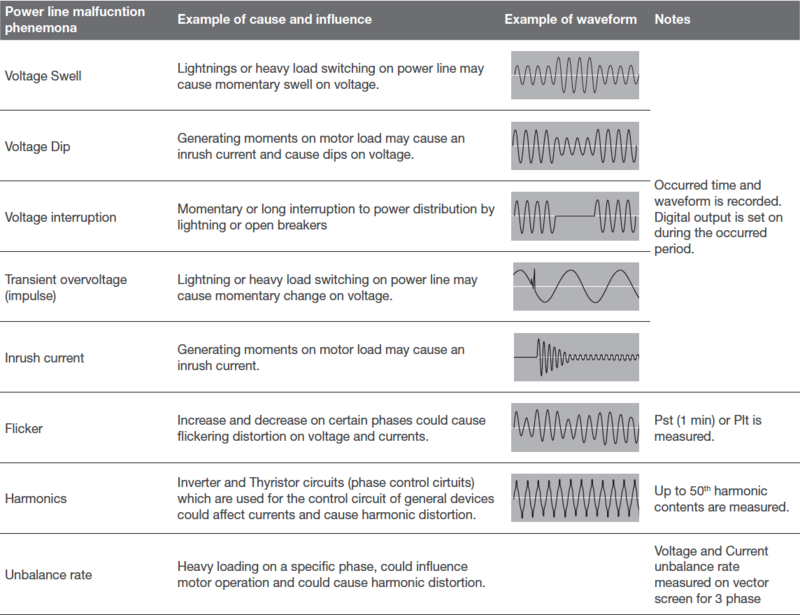 5th harmonic content can damage the calculation of capacitance for improving power factor. 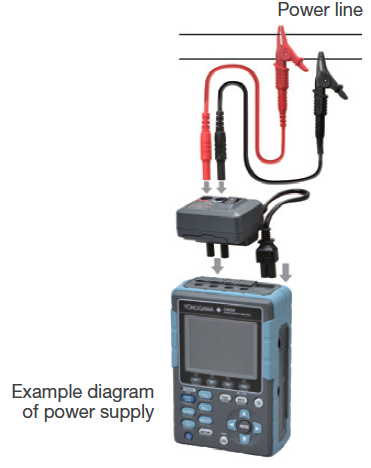 The CW500 can calculate the appropriate capacitance value by setting the aimed power factor value. 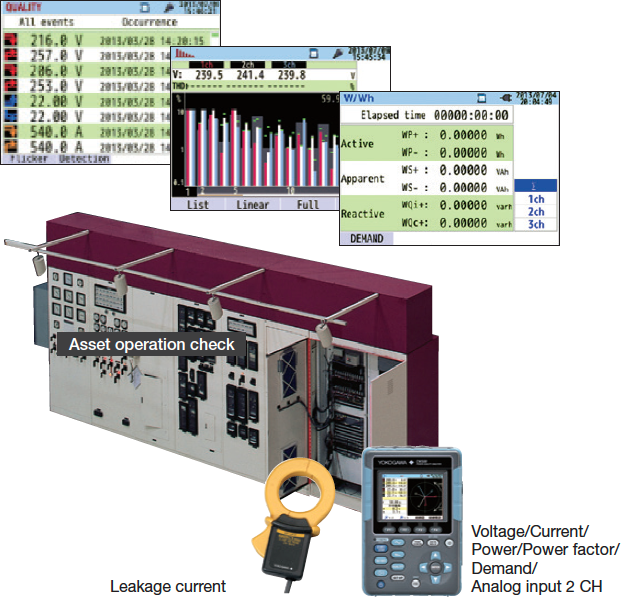 By setting the proper capacitance calculation and improving the power factor, users will benefit from power savings with less load current and improve the capacity of the whole power system. 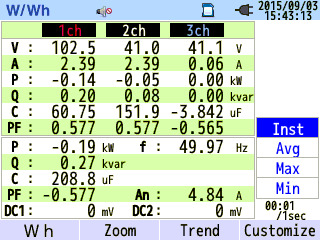 φ40 mm AC 2 A, Leakage current measurement. φ18 mm AC 50 A, Load current measurement. φ24 mm AC 100 A, Load current measurement. φ30 mm AC 200 A, Load current measurement. φ40 mm AC 500 A, Load current measurement. 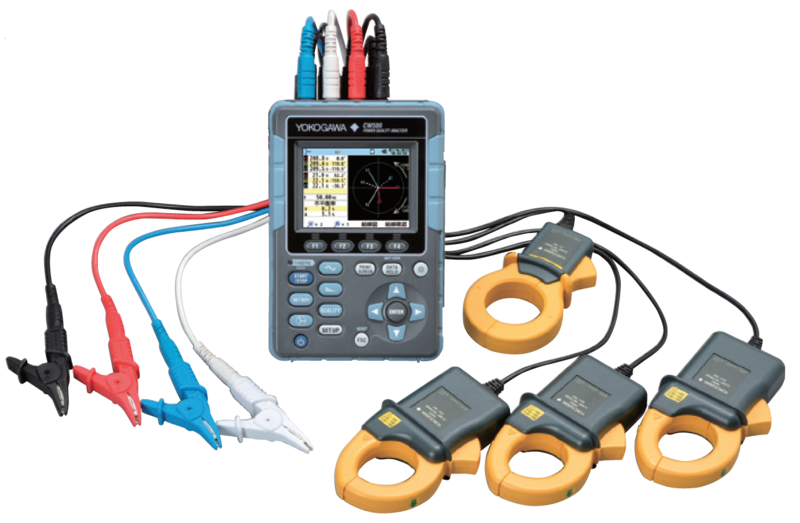 AC 3000 A, 3 CH Load current measurement.